If you took a pancake breakfast, removed the pancakes, and then added 1.5oz of rum and 1oz of Calisaya liqueur, you'd have this drink, which combines that boozy pair with .75oz of maple syrup (sticky! 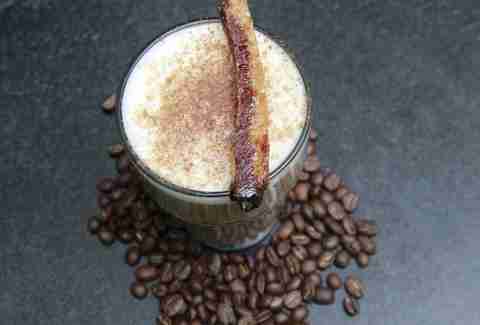 ), tops with coffee, floats with frothed milk, and garnishes with a cured bacon skewer. Naturally. 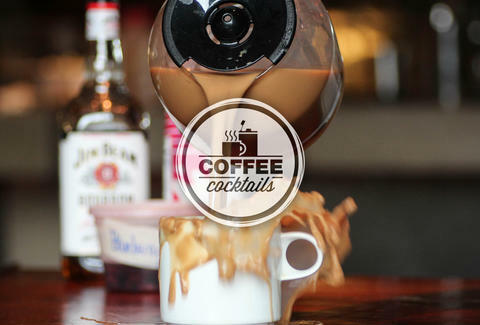 Equal parts cold-brewed coffee (2oz) and booze (1oz cognac, 1oz bourbon), this guy's shaken vigorously with half-ouncers of Averna and orange Curacao, with a side shot of sweetened cream you can Jager-bomb into your drink. 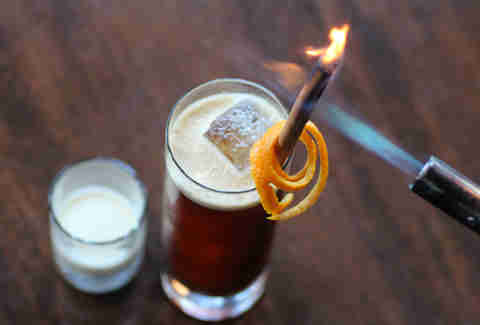 Also important: it's garnished with a cinnamon stick THAT'S ON FIRE. 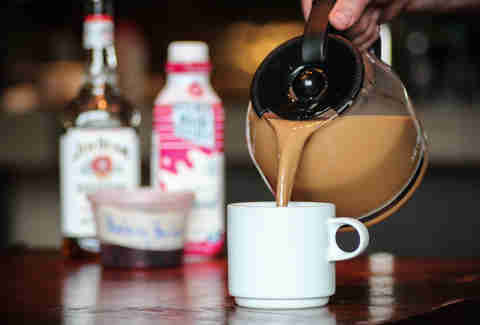 You build this drink in a freaking coffee pot, dumping two cups of blueberry-infused bourbon (let a bottle of bourb and a cup of lightly crushed berries sit overnight), a cup of vanilla/brown sugar syrup (melt 1.5cups brown sugar in 4cups of water with 1oz vanilla extract), and a mug of cream into a pot with four cups of iced coffee. Enjoy in a glass. Or on your pancakes. 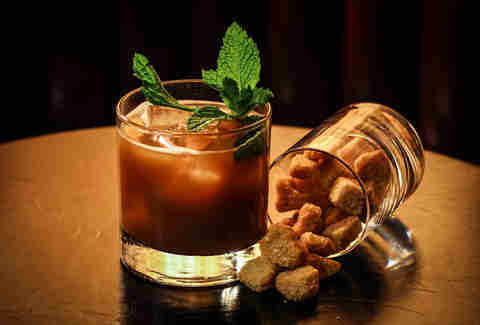 This is just your average coffee and Scotch, with 2oz of Bowmore 12 poured into a shaker of muddled sugar cubes, three dashes of sarsaparilla bitters, .25oz of orgeat, and espresso gum syrup which you can totally make yourself: just combine gum and syrup? gum arabic, Demerara sugar, and a couple shots of espresso. 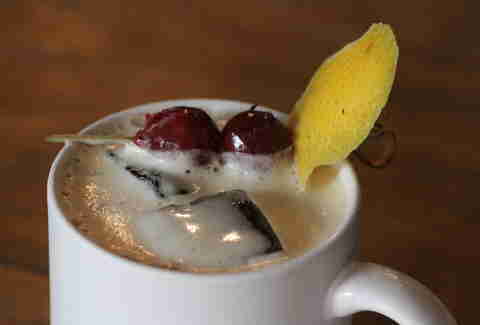 "Drive-by fruiting" your coffee drink via this citrus-y number, which combines 3oz cold coffee, 1.5oz pisco, .5oz maraschino, .25oz sugar syrup, and two dashes of grapefruit bitters with a g-fruit peel garnish.